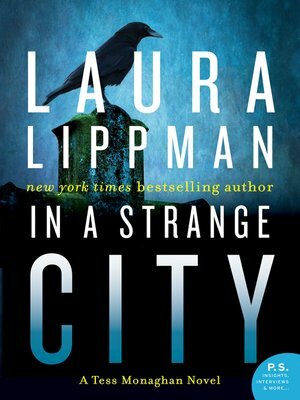 New York Times bestselling author Laura Lippman's Tess Monaghan must put her PI skills to the ultimate test when she falls into the crosshairs of a psychopath who knows everything about her. For the past fifty years on the birth date of Edgar Allan Poe, a person wearing a cloak has placed three roses and a half bottle of cognac on the writer's gravesite. PI Tess Monaghan has never witnessed the event. But when John P. Kennedy, an eccentric antiques dealer, asks her to uncover the identity of the caped visitor, who he believes has duped him with the sale of an inauthentic antique, Tess decides to hold vigil on the night the cloaked stranger is expected to make an appearance. But the custom takes on a bizarre, fatal twist when two cloaked figures arrive. The imitator leaves his tribute and then makes his escape...after shooting the first visitor. Warning bells tell Tess to steer clear of this case. But when roses and cognac appear on her doorstep, Tess's curiosity is piqued. She soon discovers that John P. Kennedy has vanished into thin air and much of what he told her was questionable. Then the identity of the shooting victim comes to light, and all clues seem to point to the possibility he was the target of a hate crime. But Tess isn't convinced. What was his connection to the decades-long Edgar Allan Poe tradition and to the killer? When more cryptic clues are left at her home, Tess realizes that someone is watching her every move...someone who's bent on killing again.